Today, 15 March 2019, became known that Okwui Enwezor has died at the age of 55 after a long illness. This was confirmed by the Haus der Kunst in Munich, which he directed from 2011 to 2018. 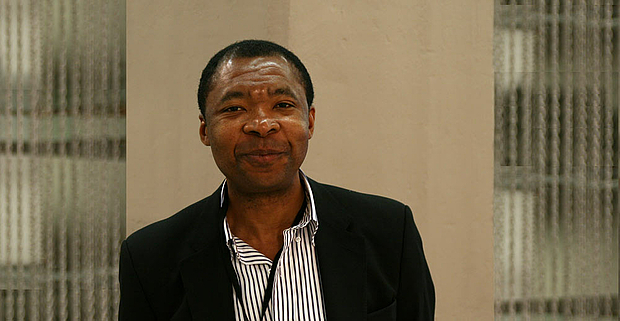 Okwui Enwezor (*1963 Nigeria), was a groundbreaking curator, art critic, editor and writer. Interested in African, European, Asiatic, North and South American art of the 20th and 21st Century, in modern and contemporary art of the African countries and the contemporary art of the African diaspora, Enwezor’s research included video and photography, archives theory, photographic documentation, photojournalism and museums history. He also studied theories on diasporas and migrations, of post-colonial modernism and the architecture and urbanism of postcolonial African cities. "I believe that the making of a biennale, or any exhibition of this magnitude, requires processes of critical thinking that need to be revisited constantly." It is about "to really look at issues that resulted from what I consider very problematic terms: postcolonialism, multiculturalism, and globalization, and to look at how local subjectivities rub against these discourses without finding definite answers, and without becoming subsumed by those particular discourses. At the edge of very extreme nationalisms, we want to explore what the role or what the situation is of being a citizen in the particular context of shifting political landscapes. In this interview in 1997, he also reflected critically about documenta X, becoming one and a half years later, the first non-European artistic director of the quinquennial mega-exhibition in Kassel. In 2012 we had the opportunity to interview Okwui again, this time about his Meeting Points' experience. When we mentioned one of his 1997 answers as resonating in the "civic imagination" concept of that event, he answered, among other things: "It's interesting to hear back my words from 15 years ago. And if there is any comfort in hearing that back, it will be in the consistency of the curatorial stance that I've adopted over the years, namely to think about an expansive context within which artists practice and to continue to insist on the necessity of avoiding any kind of geopolitical delimitation of who can be part of such a conversation – also to avoid becoming euphoric about the appeal of what we may call 'global citizenship', and because obviously that appeal and the euphoria surrounding it is constantly modified by the realities on the ground." Artistic Director: Okwui Enwezor. 8 June - 15 September 2002, Kassel. Photo tour through the exhibition at the old static website of UiU. 56th International Art Exhibition. All the World's Futures, Artistic Director: Okwui Enwezor. Photo tour through the Central International Art Exhibition in 3 parts. * 23 October 1963, Calabar, Nigeria.